My name is Monica. 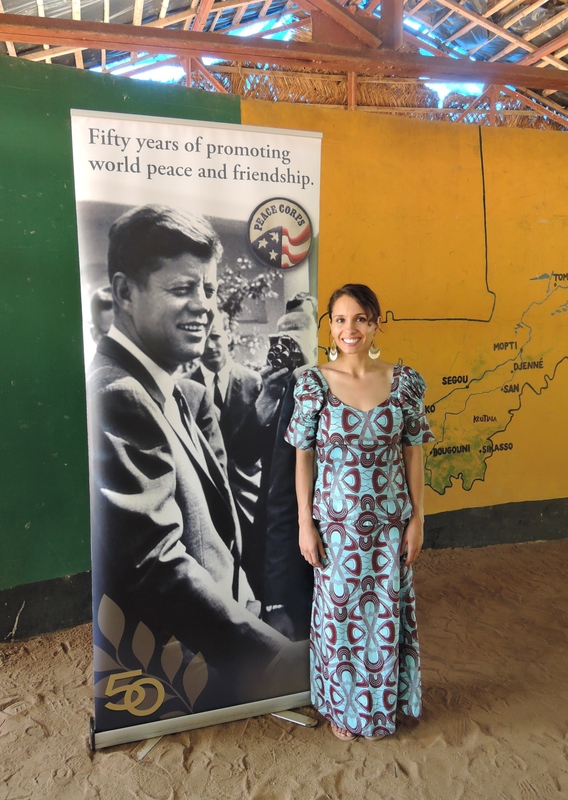 I am currently a Peace Corps Volunteer serving in Guinea as an Agroforestry volunteer but I began my service in June 2015 as a Community and Economic Development volunteer in Mali. I was in Mali for 6 months before the attack on the Bamako Radisson hotel that led the Peace Corps to believe we were unsafe and that we had to evacuate. My site in Guinea is located in the Fouta Djallon highlands and is Pular-speaking. This is not my first time around the block in West Africa. I studied abroad for a semester in Dakar, Senegal. Even so, I learn new things about West African culture every day and I continue to be amazed at the hospitality and warmth of the people here. While I see many issues that frustrate me I also see tremendous opportunities here. I am from the San Francisco Bay Area and graduated in Economics at University of California Berkeley in 2012. My name is Monica but here in Guinea I go by Oumou Bah. I am an Agroforestry Volunteer working on beekeeping projects and trying to get decent at Pular. This is a personal blog about my triumphs and tribulations. The content of this website is mine alone and does not necessarily reflect the views of the U.S. Government, the Peace Corps, or the Guinean Government.